this is intimately intertwined with another tragedy: a crisis of death and near death in black mothers themselves. Because of this crisis, we are especially excited that BirthMatters is celebrating their 10 year anniversary. 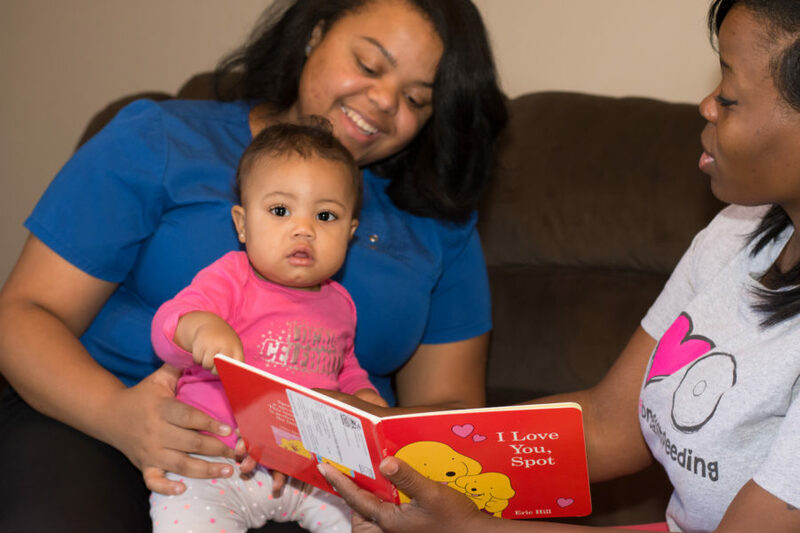 BirthMatters trains women from marginalized neighborhoods to become community-based doulas–who provide emotional and educational support to young mothers and their families to ensure we are improving birth disparities. BirthMatters has the evidence to support improved outcomes for our moms. For every dollar invested we save taxpayers $4.17. The lived experience of a black person can reduce their chances of a healthy pregnancy and birth, as well as the survival of their infant. Living in poverty further lessens the chances for children to flourish. About 19 percent of our nation’s children live in poverty, and the numbers are even more devastating for children of color: 34 percent for African Americans, 34 percent for American Indians, 28 percent for Latinos/ Hispanics, and 20 percent for mixed race children. The long-term consequences of ongoing poverty and adverse experiences are especially severe for the youngest children, making it less likely that they will graduate from high school, complete college, or be consistently employed as adults.